It's been my observation that there are many gifts such as the gift of prophecy and speaking in tongues that aren't handled or expressed Biblically today and we need to be careful to take in any teaching that doesn't align with God's Word. 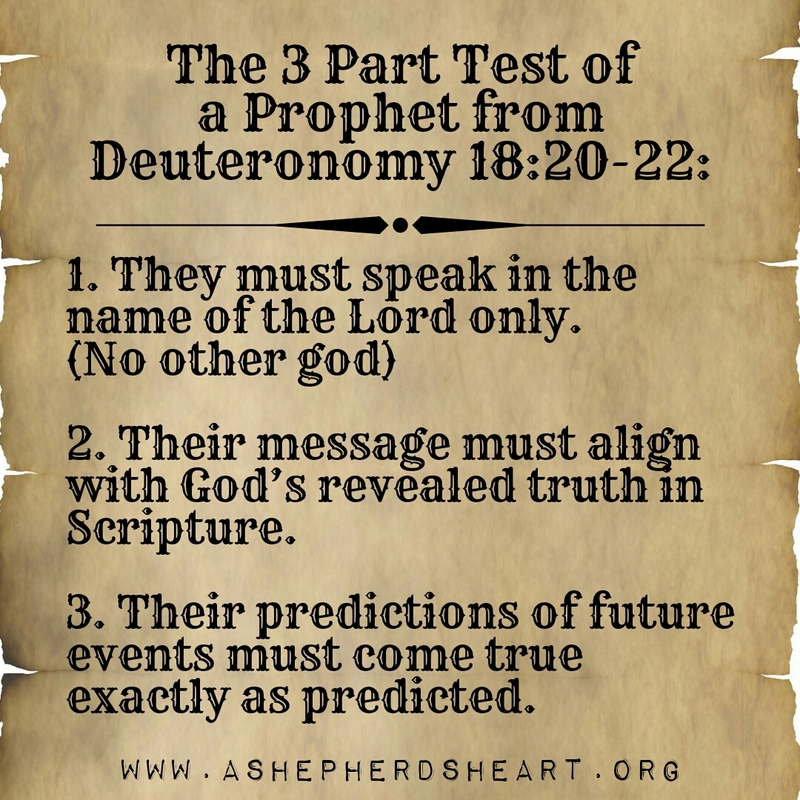 It's seems that specifically with the gift of prophecy, that it is often only thought by some to be the foretelling of future events but it is also and more often than the previous - it is the proclamation of God's truth from His Word. We may have experienced people who claim to be a prophet and that they can foretell the future or have "a word from God", however, it often doesn't come to pass. It was wasn't really from God as if it was, and if they were really prophets who represented God, it would come to pass as God keeps His Word an promises. It wasn't "a Word from God" rather, it was a word they made up to make people believe they had some authority but they weren't speaking from God's authority at all. It's important that we stand guard and are on alert so we don't fall prey to false prophets and teachers. It's doubtful that everyone who has "a word from the Lord" is actually hearing from the Lord. Be careful my friends...just be careful and take everything you hear back to God's Word! I'm sharing this as a warning and not as a meaningless controversy by any means. It's becoming more and more prevalent for people to see people say they are a "prophet" but, they most likely aren't due to the evidence of the fruit they bear. Furthermore, I submit to you that the gift of proclamation ('forth-telling) is more active today and not prediction (“fore-telling”). I share this because based on what I see today regarding how people are mishandling the scriptures and supposedly expressing this gift, I'm personally not convinced that the fore-telling is actually an active gift anymore because it's not done Biblically, (same with the gift of tongues) but the forth-telling is definitely an active gift as there is ample evidence of this in our local church fellowship's as Pastors who teach the actual Bible proclaiming the truth from God's Word. 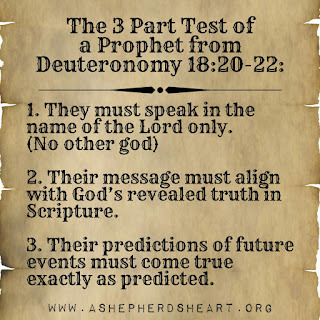 Another truth about this is that the scriptures show that true prophets of God were sent by God to tell and warn of future events and they were given a direct Word from God to share and not just their own words. Again, it was based on the proclamation of the truth of God's Word! 2. Their message must align with God’s revealed truth in Scripture. 3. Their predictions of future events must come true exactly as predicted. 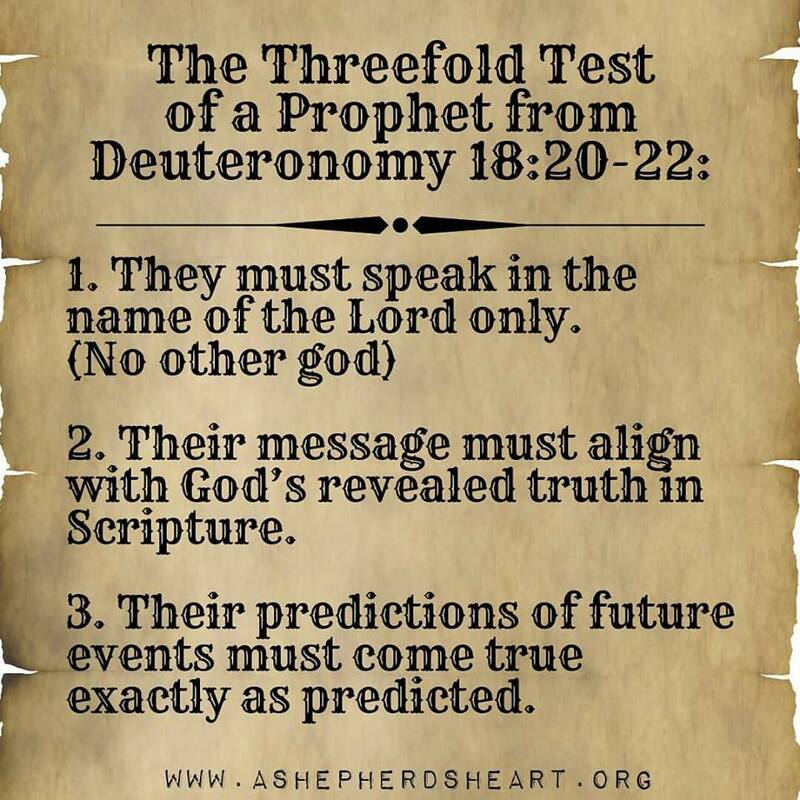 We should use this test as our guide as it's grounded in God's Word! God can and will use people in many ways and I'm all for expressing the gifts that The Holy Spirit gives us, but, again it ought to be Biblical in expression as God will not contradict Himself and that includes not contradicting His Word. So, if someone espouses to be sharing a "new" message from God...please pray and take what they are saying back to God's Word because God will reveal the truth from the falsehood. I share this with you because I care and don't want anyone to get caught up in falsehood being deceived by people who aren't truly representing God. Lastly, don't take my word for it but be sure to read the suggested scriptures I've listed as God has much to say on this topic in His Word! In other words...take His Word for it. P.S. Please feel to pass on this or any communication I share here to encourage others to be grounded in His Word and seek to live life on purpose! Please also remember A Shepherd's Heart in your prayers! Thanks! It's "Time To Make The Donuts."